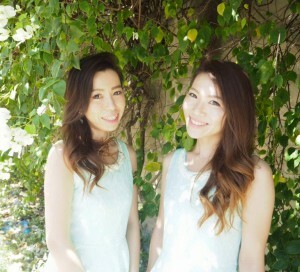 We’re sisters born in Fukui city in Japan. Fukui city is country side of Japan and there is a lot of beautiful places.We’d like to introduce our hometown Fukui city and share our traveling experiences. We’d like you to know our hometoun Fukui city from our pages.Thank you. 6year~9year:I like to play piano.I practice to play piano with my strict teacher.My dream was to become a teacher of piano school. I enjoy helping ｆield work and go to camping with my family. 10~12year：I like to play balle game. I participate in a tournament of dodge ball and volleyball. I addict to make people laugh by taking off a celebrity. My dream was changed to be a comedian. I luckily to pass a entrance examination of junior high school. 12~14year:I belonged to tennis club.I was pair with strict leader of the club. 16~18year:I continued to belonged to tennis club.I was a leader of the club. I luckily to enter special academic advancement course of the higj school and study hard, but finally I couldn’t pass the entrance examination of the University and I recognized life is not easy. 20~21year:I went to Australia and had a homestay for 1week. I everyday enjoy drinking and playing until the morning.I did a lot of part time job.My bubble economy had came.I gained about 10kg. 22 years:I started job hunting and I got a job offer from airline company as a ground staff. I went to China to study chinese for 3weeks. 22~30yesr:I started to workfor a company and my bubble economy had ended.I was trained as a professional ground staff. I like to traveling more and more. 30year:I retired my job and went to Cebu to study English and IT with my sister. 0years：I was born as a second daughter. I was supposed to be named ‘Tom”, but fortunately I got “Hitomi” girls name. 3years：Went camping 5times/year with family. I liked to play in mountain & river. 5years：I was a tomboy that a lot of mothers were surprised. I was busy to learn a lot in Piano, tea ceremony, swimming, gymnastic. 11years：I joined strict cram school preparing for the entrance exam of Junior high school. 12years：I passed the exam and entered the same school with my sister. Belonged to the tennis club, which sub captain was my sister. 15years：I entered my first-choice high school. I spent all my time playing tennis. 17years：I went to Guam,that was the first time to travel abroad. 18years：I entered University in Kyoto, and lived by myself. Joined tennis circle, and had a part-time job; this’s ordinal university student. 22years：Returned to Fukui after graduated university.I realized that I prefer countryside. I really enjoyed living in Fukui, running along the river and walk around with Chocotan. 28years：Studying abroad at first time. Learned English & IT for 2months with perfect attendance!! Japan：I hadn’t travel Tohoku area yet…..hopefully someday! Chief editor of our web site. Borned on 2nd September, 2012. He came to Murakami’s as the first pet. He loves pink house and toys, and he can’t stop eating! !